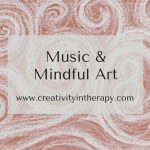 This is Part 2 of my posts about the use of collage in art therapy. 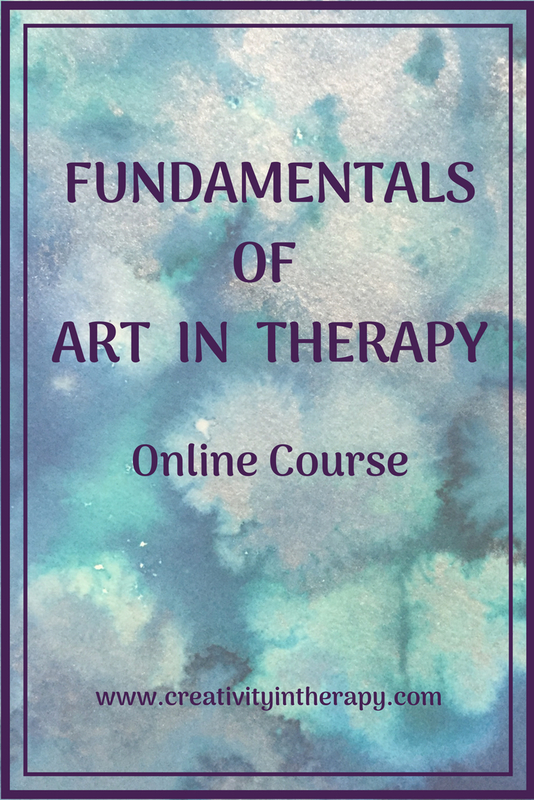 In Part 1, I offered an introduction to collage art therapy and some tips to get started using collage in therapy. In Part 2, I will offer some different interventions and suggestions for collage. Images chosen–what does each image say about the person that it represents? Size–does one or more family member dominate the collage? Placement–are the images close and overlapping or spread far apart? I have also used feelings collages to help children develop a better understanding of emotions. One child I worked with was initially only able to name the feelings happy, sad and mad, and he struggled with recognizing and articulating his own feelings. We worked together to choose collage pictures to represent the feelings happy, sad, and mad. 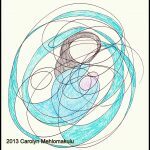 As our piles of faces grew, he began to divide them up into more specific categories–excited, lonely, loved, scared, etc. Our finished collage covered three pieces of posterboard and represented twelve emotions. 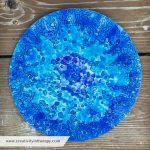 Although this child was still not ready to talk about his own feelings, he could tell me a little story about how each person in a picture felt and why–stories that revealed a lot about his own thoughts and emotions. 3. Inside/outside collage about identity: There are a few variations on this type of collage directive, but the main idea is to explore the difference between what one shows to others versus what one hides on the inside. The most simple way to do this is to use a large piece of paper (like 11×17) folded in half like a card. On the outside, collage images that represent how others perceive you and what you show to them. On the inside, collage the things that most people don’t know about you or that you keep hidden. Other interesting variations of this collage are to use the inside and outside of a box or the front and back of a mask. 4. 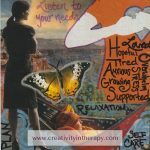 Collages about beliefs, hopes, or dreams: Collage images can be used to explore one’s beliefs about a certain topic–e.g., “what do you believe about love” or “what does a healthy relationship look like.” This may help one to express or realize aspects of the belief that would not immediately come up through just talking. Collage can also help one to visualize or explore hopes for the future. 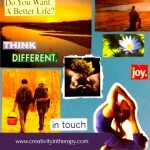 Towards the end of therapy, I often have clients create a collage about their hopes and dreams for the future. 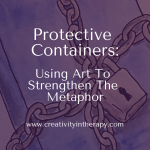 It can be a helpful exercise for them to think about this, as well as share this with someone who is interested and supportive. 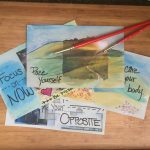 I hope that these ideas for collage art therapy directives help you to try out collage for yourself, whether in your own art-making, journaling, or with clients. If you are having trouble collecting enough images, remember that the Internet can be a great source. Try using Google Image Search to find pictures–you’ll be surprised at how good the results can be for even the most abstract search terms. You can then print them out to be glued on to a collage, or you can combine them on the computer. 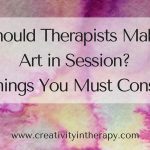 Want more art therapy ideas? Click here to sign up for the email newsletter. Thank you. I work part time as a Peer QHMA (in residential treatment home) and your suggestions are helpful. 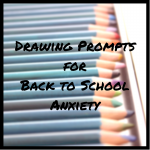 There are a couple people who are interested in collage and I would like to try some of your prompts. Hi Elaine, glad to hear that you found this helpful. Hope that the collage work goes well with the residents.